After a last minute email to my contact at Boeing, and a few emails back and forth to Dreamliner Captain Mike Bryan in Auckland, we organised a tentative plan for an inspection of ZA001 today. A big thank you to Boeing, and Mike in particular, for going out of his way to make sure today happened. Once on board and in the left seat, Mike gave me the run through on the flight deck systems, followed by a personal walk around discussing the various features and innovations on the aircraft. 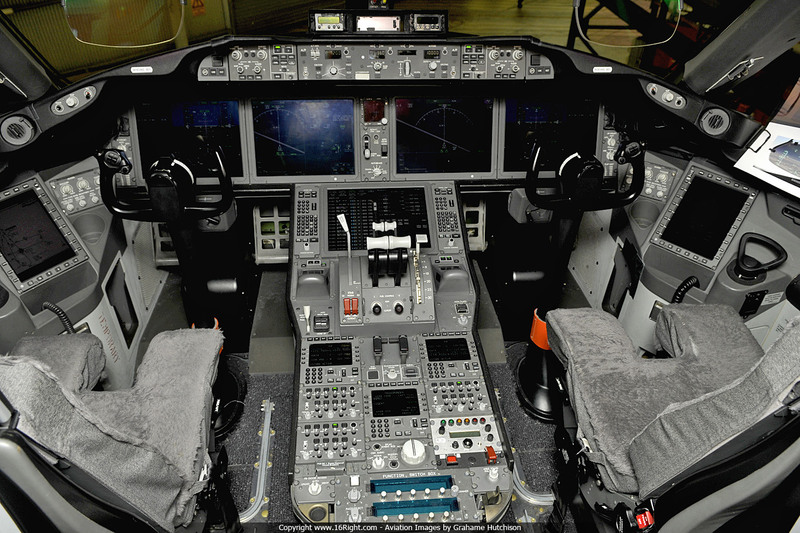 The 787 uses a mouse to operate the various displays, the overhead fuse panel is gone, instead the fuses are shown on one of the centre console displays, and can be operated electronically using the mouse. The cockpit windows are very large, particularly the side ones, and all are fixed. Escape from the cockpit is via a roof hatch on the right side, using a device with a coil of wire that clips onto the hatch and lowers you down safely to the ground. The HUD is a standard feature (either side at the top of the image) and just pulls back an up out the way when not in use. Standard approaches and departures can be diaplayed on the HUD along with all the other necessary instrument readings. 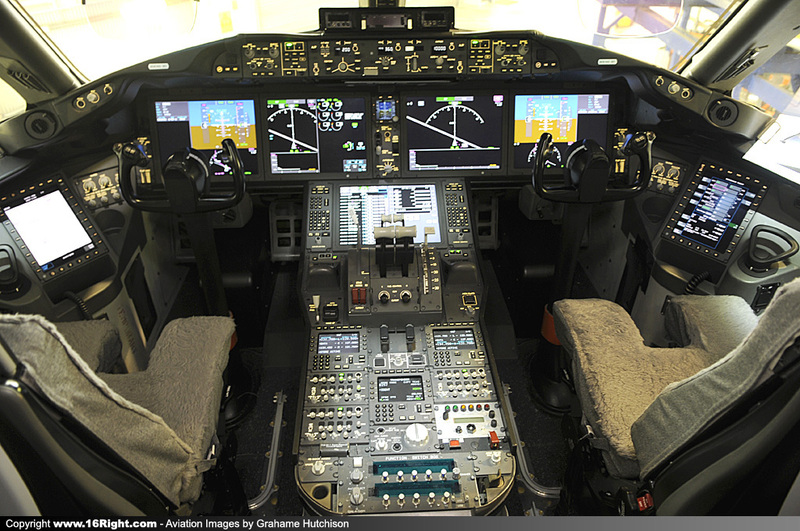 Like the 777 there is an Electronic Flight Bag on either side of the cockpit, however this is an enhanced version of the EFB. Radio frequencies can be keyed into the displays rather than turning knobs, and ground steering is via a traditional tiller. Flight performance is superb, with Mike mentioning that they have had the aircraft down as slow as 78kts, not something you want to do very often. 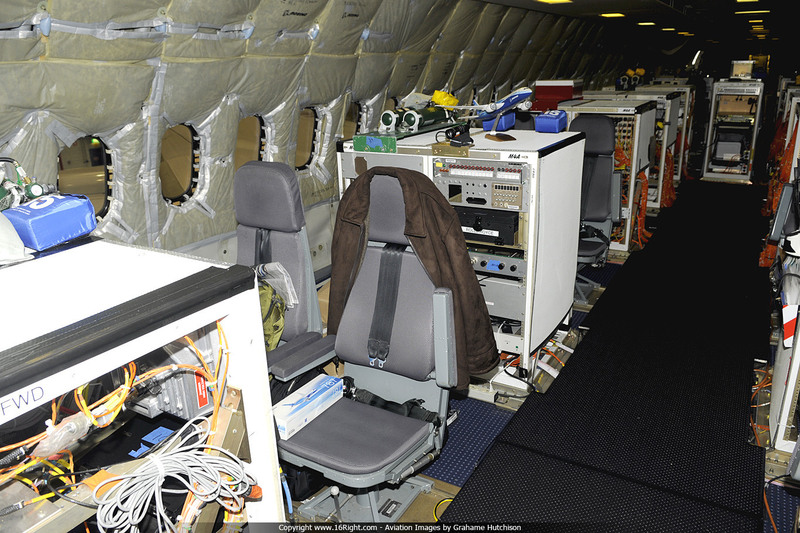 The very back section of the centre console is only for testing purposes only, and is not part of the production aircraft. 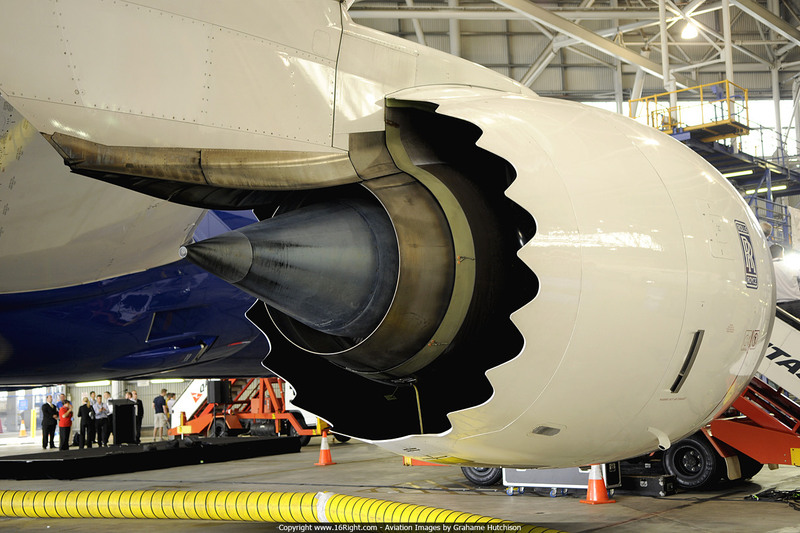 The Rolls Royce Trent 1000 engines are massive, with chevrons at the rear to mix the hot and cold gases and reduce noise. The cowls also appear to be made of carbon fibre. Qantas and Jetstar have ordered the GE engines. 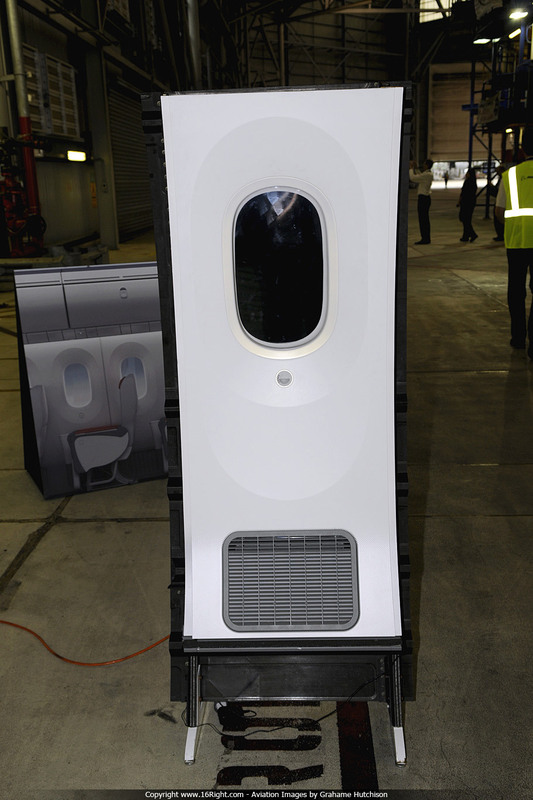 Rather than bleeding hot air from the engines to supply the cabin, the 787 has fuselage mounted intakes (bottom right) to supply cabin air, and pressurises the cabin electrically. 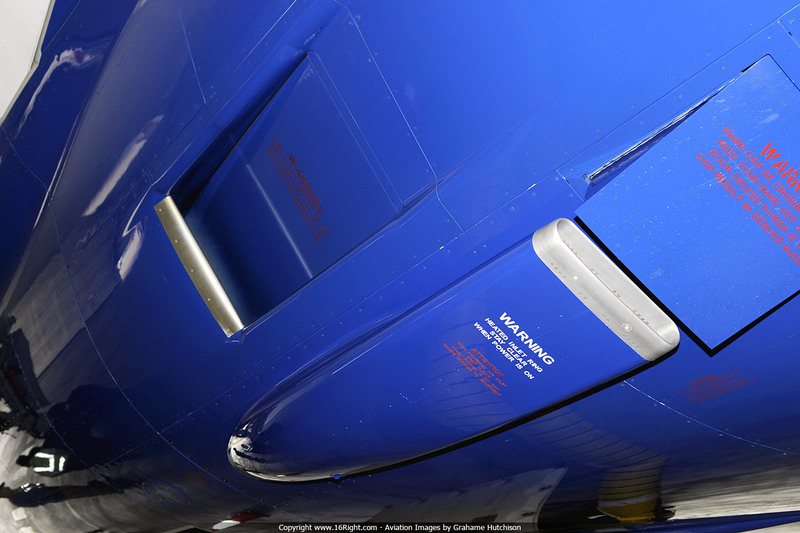 The panel in front of the intake lowers when landing and taxiing to prevent ingestion of foreign material. 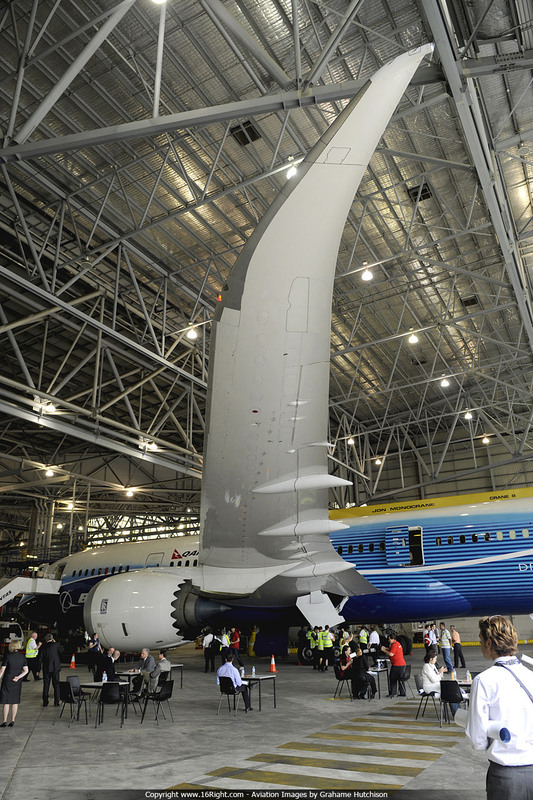 The wing on the Dreamliner is a beautiful piece of work, all the actuators for flaps and ailerons etc. and very small compared to earlier aircraft, and the wing is one perfectly formed shape right out to the raked wing tips (and they are made in Japan). They are also looking at the use of more composite material in the wing structure, in particular some of the ribs, which will further reduce the overall weight. 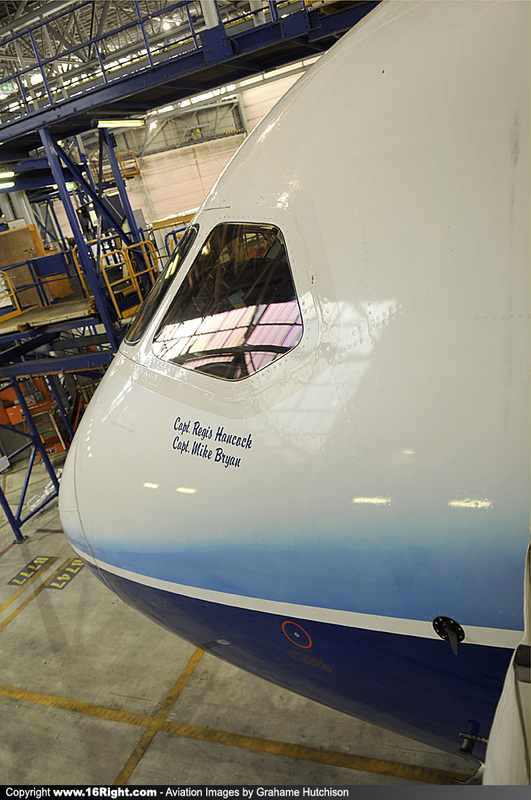 Currently, 50% of the aircraft by weight is composite. 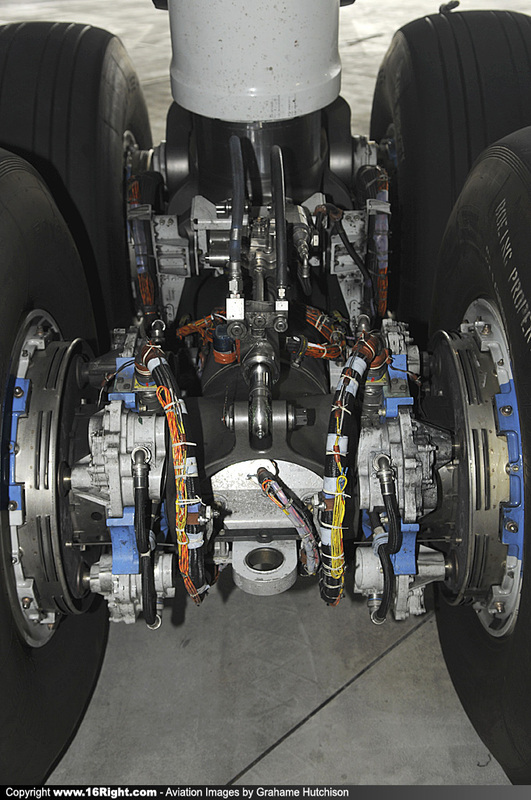 The brakes are electrically operated rather than hydraulic, and the actuators can automatically compensate for an individual failure. Mike said that when he took the 787 into Farnborough's short runway, some firm braking was required and the brake temperature reached 1200 degrees fahrenheit. The red windows have sensors installed for testing purposes. A lot of attention has been paid to the finish of all surfaces on the wing, and this shows how small some of the mounts and actuators actually are. Again, the transition from tail to rudder is almost seemless, and ZA001 has a series of vortex generators in a vertical line up the tail. 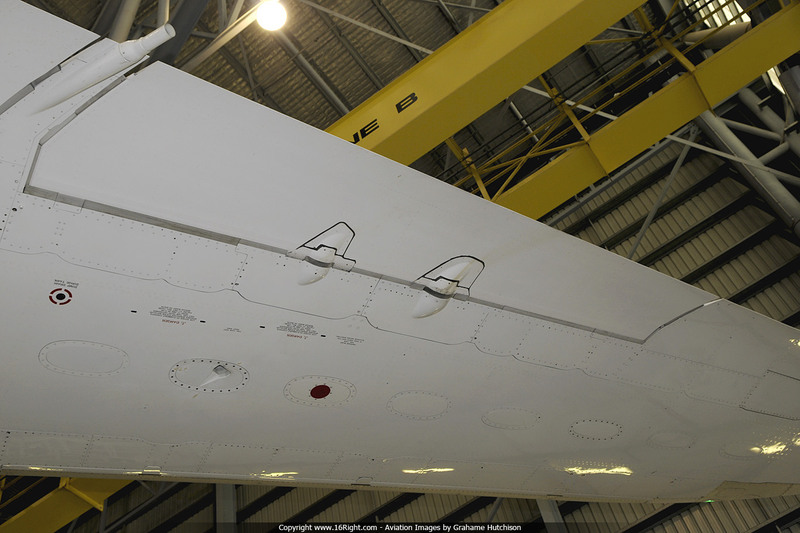 This came out of flight testing and they are required to disturb the air just a little as it passes over the tail. 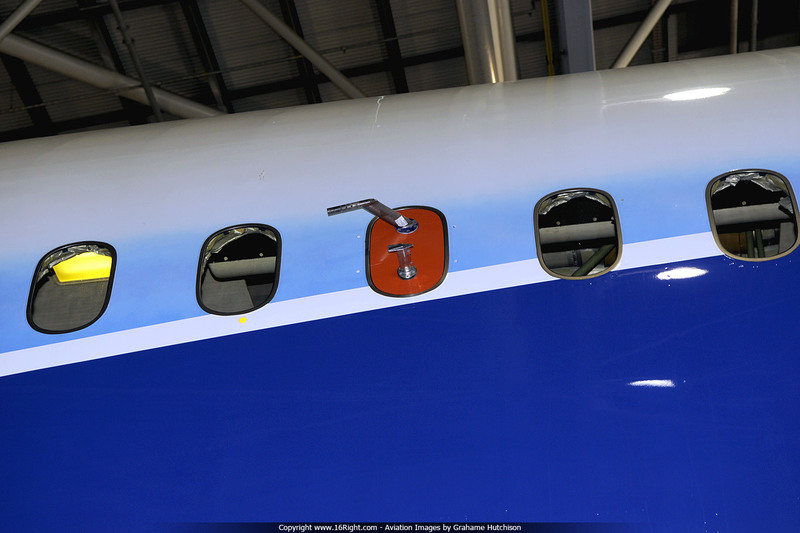 Boeing have been playing around with different combinations of the vortex generators to determine the best option. 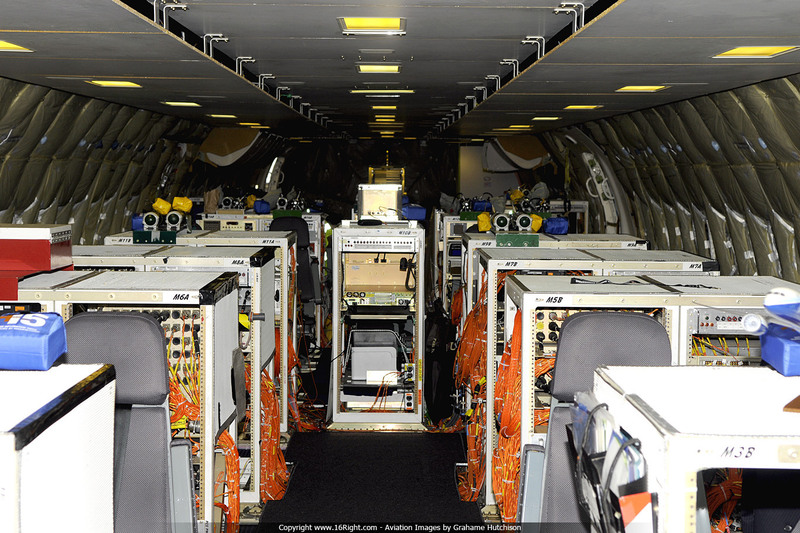 Apart from a few seats up front, the aircraft is mainly filled with test equipment. You can actually see right through to the rear pressure bulkhead, which is also composite and much flatter than normal. This allows more room at the rear for galleys or toilets etc. The overhead setup is quite purpose built, with large flat sections of sheeting bolted to the centre section. This is done so they can locate special lighting directly overhead the flight data monitoring consoles. 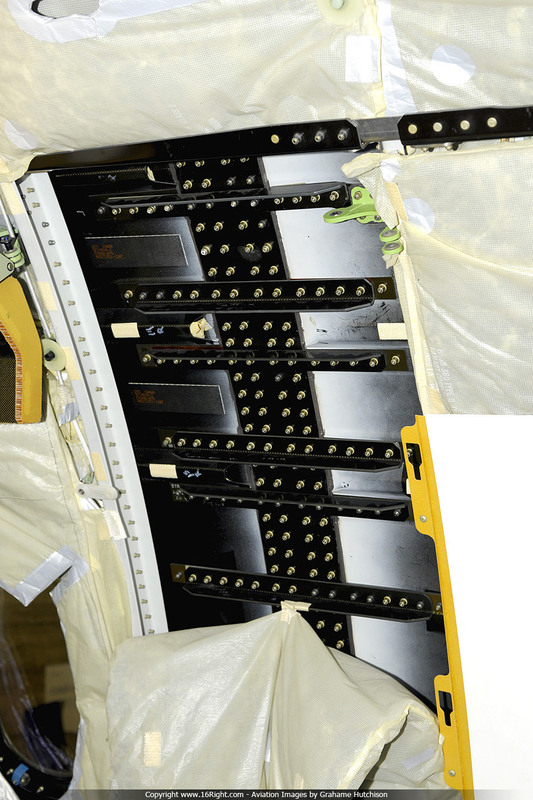 This is the join between the main fuselage section and the nose section. The light sections are the external composite skin, which are overlaid with a double layer of bolted fasteners. 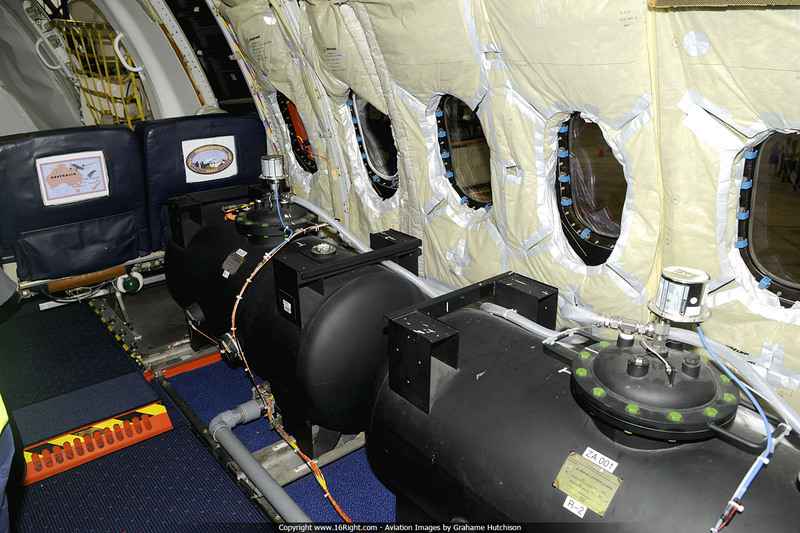 A series of water tanks in the cabin are used to vary the centre of gravity, and also load the aircraft weight wise. 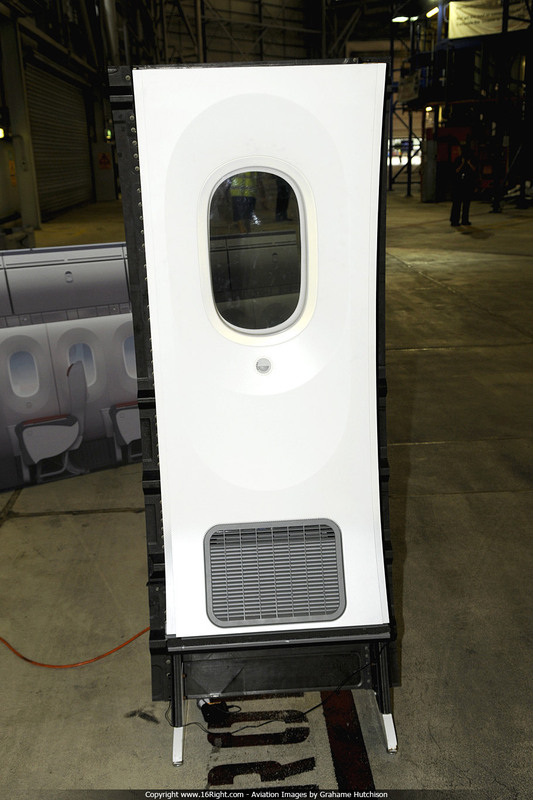 On static display was a window panel section so you could try out the dimming feature of the Dreamliner. The first image is fully clear and the second image fully dim. It takes about one minute for the transition to complete, and at completely dim you can still just see through the window. There are five small indicators on the left of the button to display the current setting, and you press the top of the button to go to the clear setting, and bottom to go to the dim setting. 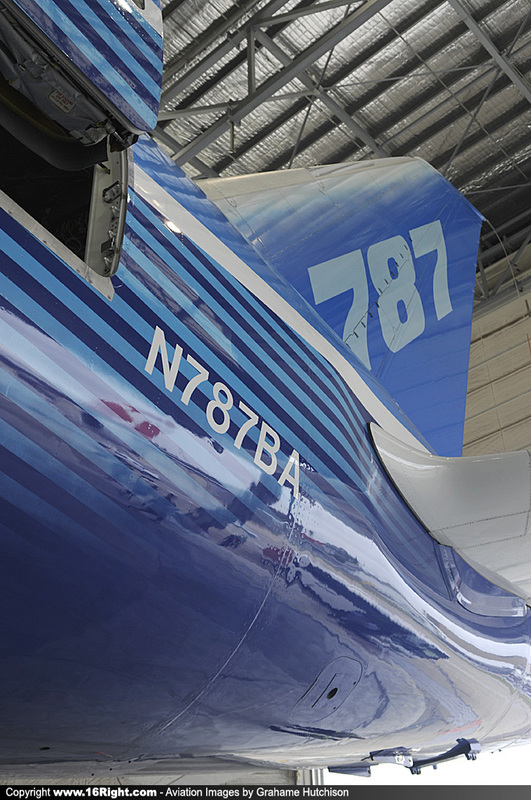 The Dreamliner production line does not really have a set rate at present, as they transition from testing to production. There are apparently about 50 aircraft in various stages of construction and waiting on particular components. The crew on this "Down Under" tour was around 30 in total, and the route home will be Melbourne, Honolulu then Seattle. They cannot go direct Melbourne - Seattle as ZA001 has fuel limitations in the wing tanks.